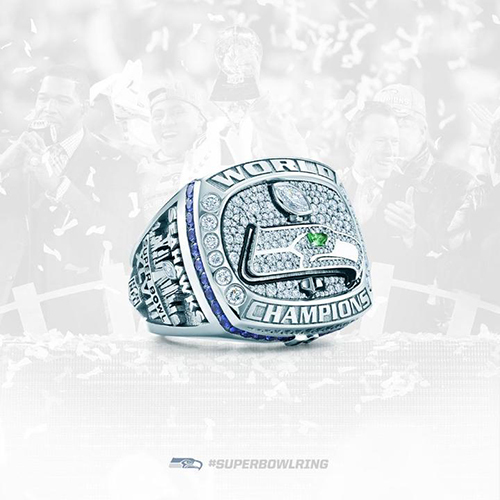 The Seattle Seahawks Super Bowl XLVIII rings not only honor a tremendous season but the fans that helped make it all the more memorable. Decked out with plenty of bling, the Super Bowl rings have more than 200 total gemstones. Just the top of the ring has 183 diamonds. Designed by Tiffany & Co, players and personnel received their rings during a private ceremony. 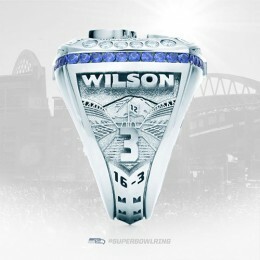 The white gold rings include the Seahawks logo done entirely in diamonds, the Vince Lombardi Trophy, the team's iconic "12" flag representing the fans and Mt. Rainier. 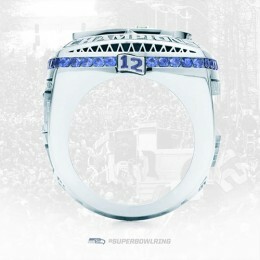 Here's a detailed breakdown of the many elements that make up the Seattle Seahaws Super Bowl ring. 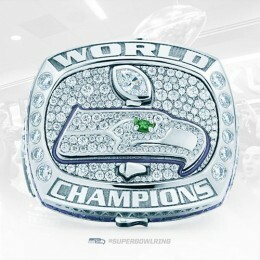 Seahawks logo on top made with 64 diamonds with an emerald tsavorite gem for the eye. Vince Lombardi Trophy has one marquis diamond. 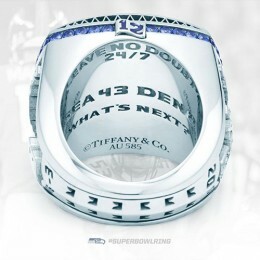 Logo and trophy set against background of 107 rounded diamonds. Top of ring is framed by another 12 diamonds. Just below the top are 42 blue sapphires flanking a pair of "12" flags. Sculpted view of CityLink Field with the 12th man flag and Mt. Rainier in the background. 16-2 regular season record included. Each player has their name and number. The backdrop is of the Seattle skyline. It includes the Super Bowl XLVIII logo and NFL Shield. The Vince Lombardi Trophy has a marquis diamond. 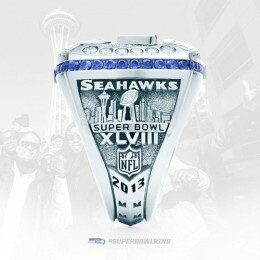 Championship rings, particularly Super Bowl rings, have become extremely popular. They're attached to a specific event that's a pinnacle moment for both a franchise and a player. For those who can't afford real championship rings, more affordable replicas can also be found.